Sled hockey is on friday at 645 pm at the outpost. As discussed last Wednesday, we will have a full sheet of ice this coming Friday from 6:45PM-7:45PM. From this point forward, we will not have any ice time on Wednesday and instead will be alternating between the tunnels and full sheet on Fridays. Both will be from 6:45PM-7:45PM. The cost for ALL players now is $5 for the tunnels and $10 for full sheet sessions. Please let me know if you plan to attend this Friday. · We will have this alternating Friday full sheet time slot through the summer. We will look for another full sheet icetime as we get closer to the fall. · The Friday tunnels are available indefinitely. · We ordered 3 more intermediate sleds today. We could have them as early as Thursday or Friday next week. · Thank you to the Carrie Tingley Hospital Foundation for picking up half the cost of the ice! 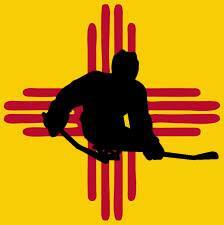 · We have been tentatively approved for the USA Hockey sled hockey grant. We should receive formal approval early September. This would get us 5 additional sleds. Sledge hockey (known as sled hockey in the United States) is a sport that was designed to allow participants who have a physical disability to play the game of ice hockey. Ice sledge hockey was invented in the early 1960s in Stockholm, Sweden, at a rehabilitation centre. It is currently one of the most popular sports in the Paralympic Games.